Yes, the hiatus has been far too long - I kept thinking 'just another day or two,' after a move, working on Catherine of Lyonesse, an annoying and voltage-draining sinus infection, and, well, work. The move means a regretful farewell to the F line streetcars, 100,000-ton containerships, and more places to eat than we could ever possibly try. On the other hand, the Central Coast does have a justified reputation as a corner of paradise. Of more interest to most readers here, the move puts me back within decent viewing distance of launches from Vandenberg Air Force Base. 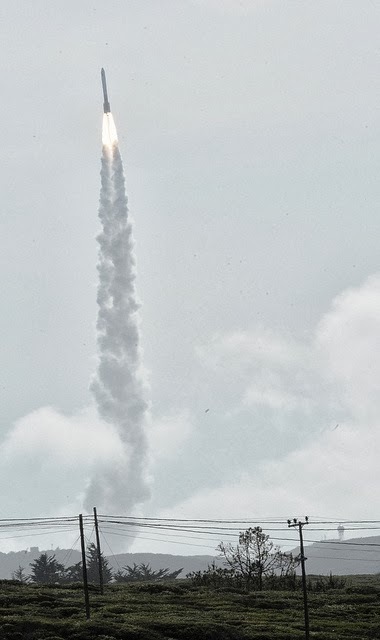 Alas, relentless California coastal summer fog rendered the late-August launch of a Delta IV Heavy invisible. As the seasons turn, bringing Indian summer to the coast, I have better hopes for the upcoming Falcon 9 launch, postponed from midmonth and now scheduled for September 29th. For those who live near the West Coast, or simply want to keep track of launch schedules, here is a Web page listing scheduled Vandenberg launches. This launch schedule also provides some important - and frustrating - lessons about the practicalities of space flight. The most important of these lessons is that space launches are rare. Not counting ICBM test flights (one pending, and one I slept through and missed a couple of nights ago), three launches are scheduled between now and March. Throw in the late-August Delta IV launch and it comes to four launches over an eight-month period. This is surely not an 'efficient' usage of facilities and resources. A space launch center must be broadly comparable to a large airport. The vehicles it handles are about the same size as jetliners, and at least as demanding. They must be prepped, serviced, and sent on their way, using a lot of specialized equipment, and - even more expensive - teams of human expertise. If a major airport handled one flight every other month ... airline tickets would not be cheap. In fairness, Vandenberg is not the most heavily used launch center. It is used for polar-orbit launches, particularly for spy satellites, though also for some types of geosats for which maximum coverage of the Earth's surface is important. Polar-orbit launches cannot benefit significantly from Earth's rotation, so they are avoided unless specifically called for. But sometimes they are called for, meaning that all traffic cannot be consolidated to a single launch site. Worldwide there have been rather less than 100 launches in each of the last few years -74 in 2010, 84 in 2011, 78 last year, and 52 so far this year. This includes a handful of failures each year; out of 286 attempts this decade, 18 were failures, a 6 percent failure rate. This is, I believe, a somewhat higher failure rate than in the last couple of decades - at least in part, I'd guess, because of more new and inexperienced players in the game. But any way you cut it, space launches are not an everyday event - more like one or two per week, worldwide. The problem of low traffic volume does not just drive up the cost of launching rockets. Production of any one given type is only a dozen or so per year - up to 19, in 2011 for the Russian workhorse Soyuz (R-7) and China's Chang Zheng. Individual Western booster types rarely see more than half a dozen launches per year. Forget production-line efficiencies. In fact, given the traffic level, a stable of expendables is the most cost-effective approach. 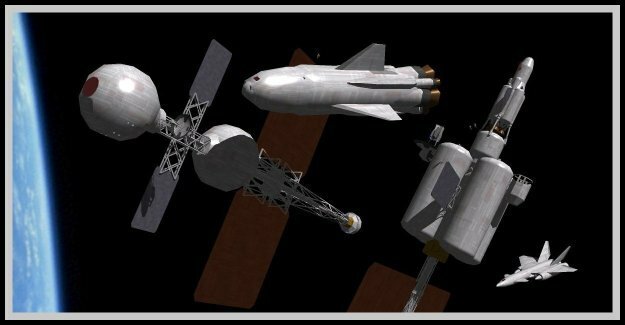 For any given individual payload they are far less expensive than a reusable vehicle that has to not only get the payload up, but then get itself back down. Yes, this is a dead horse I have beaten here many times before, and will no doubt beat again. But actually living where I can watch space launches brings some immediacy to the topic. On the bright side, we are sending some 80-odd missions a year into orbit and beyond. More than that, in fact, since many launches carry multiple satellites. As also noted here before, we have sent missions to every major planet in the Solar System, and a good many other objects. And I am looking forward to Sunday morning, when that Falcon 9 is scheduled to go up. With a little bit of luck the sky will be clear. The image, via Flickr, shows a Delta IV Medium launch from Vandenberg, last year.